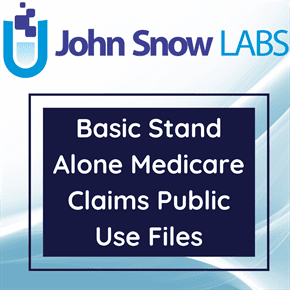 This dataset contains the Basic Stand Alone (BSA) Durable Medical Equipment (DME) Line Items with information from 2010 Medicare DME claims. Each record is a line item of a DME claim incurred by a 5% sample of Medicare beneficiaries (each claim is comprised of up to 13 line item services). The dataset can be useful in assessing the utilization of Durable Medical Equipment which can be useful to make estimations for resources planning and to estimate associated costs. The Centers for Medicare and Medicaid Services (CMS) BSA DME Line Items dataset originates from a 5% simple random sample of beneficiaries drawn (without replacement) from the CMS 100% Beneficiary Summary File for the reference year. The sample that is used for the CMS BSA DME Line Items dataset is disjoint from the existing 5% CMS research sample in the sense that there is no overlap in terms of the beneficiaries in the CMS BSA DME Line Items dataset and the 5% CMS research sample. It is also disjoint from the other BSA Public Use Files (PUF) that have been released so far. This property prevents users from linking data across multiple files for identification purposes.